Most of us have been inundated with information about sexual misconduct in Hollywood, New York, and the political realm. 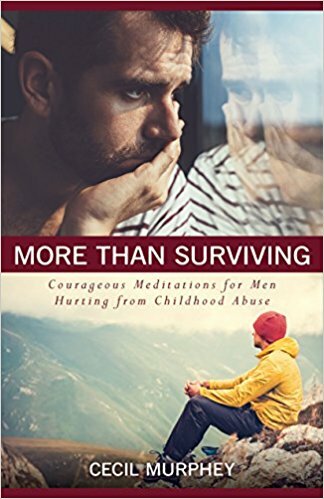 As I’ve listened to TV news and read reports about the allegations and especially the responses, I’ve thought, That sounds like what many of us male survivors of childhood sexual abuse have gone through. The July 26, 2017, issue of The New York Times included an article written by Shaila Dewan about the misguided reasons people doubt the report of victims. As I read the piece, so much of it hit home. The article stated that the reports are often viewed as unreliable because of the victims’ emotional paralysis or inability to recall timelines. To her credit, the author points out that such inability is common. Yes, I thought, we males have the same issues. 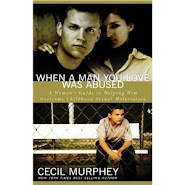 I can’t pinpoint exactly when the sexual and physical abuse took place in my life, but I know it did. When I’ve been pressed for details, I blank out. I’ve tried to force myself to remember, but nothing productive jumps out. I’ve accepted that I’ll always have gaps in my memory. 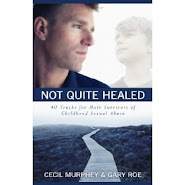 Instead of being able to relate every detail, severe trauma works the other way. The more powerfully and painfully we’re affected, the less we remember. Others might not believe us—we can’t help that. Then, add the tradition of an Adversarial Court procedure (e.g., interrogation and cross-examination), and victims--who often struggled to speak up for themselves anyway--now feel they are up against an impossible task to find justice, internally and externally. But if men cry upon examination...hummm, when did I just see that happen? As I have healed and been in community with those who heal, we've all experienced the "blackness of memory". That is what we call a "Guardian". As we understand the phenomena and brain science, it is simply your brain protecting you from that painful memory. While it can be frustrating, it's often your mind's way of protecting you from being re-traumatized. There are ways to deal with it, but it takes time. My best recommendation is to be gentle with yourself in this scenario. It's easy to beat ourselves up and feel like we are less than we are for not being able to remember. Additionally, as an attorney who deals with this sort of thing in children, the harm caused by prosecutors, child protective services, defense attorneys and parents concerns me. We ask children to be re-traumatized over and over again in the prosecution and/or defense of these sorts of things. Is it sometimes necessary? Of course. Does that make it helpful to their healing? It depends on the child. Sometimes, forcing them to develop and tell a coherent story is helpful. Sometimes its just new trauma. Often the hardest scenario is not the attorneys, the social workers or the locked away memories, but the parents who prefer the relationship with their abuser over the child. Or the parents who prefer the appearance of the perfect family over the reality of the abuse. Either way, the child is neglected and the trauma festers only to reappear later in life. Fortunately, there is healing in Christ. So many times in my young life I contemplated telling. I always backed away from it because I was convinced no one would believe me. When my sister would accuse me of something I didn't do she was always the one believed. This reinforced the idea I wouldn't be believed especially on something like this. Dad being a preacher and public figure and be being just a kid was another reason. The one time I attempted to speak to my mom about dad the subject was immediately changed by her. I got the message. In speaking with many survivors in person and online those who did tell were seldom believed and even accused of maliciously spreading lies. One of the most healing things from my experience for me and for so many others was to be heard and to be believed. That alone can many times leave us sobbing with relief. So far, three of you have responded--and I appreciate your comments very much. I think I'll always remember the survivor in the Jerry Sandusky trial who, when asked why he didn't speak up, said, "I was only a kid. Who would believe a kid?" It also seems to me that more insecure we were in our family of origin, the less able we are to talk about our abuse. I truly didn't think my parents cared. I assume some of your would say the same. Perhaps the day will come when more males will speak up--such as the young man who accused Kevin Spacy. I can’t tell you what the date was when I was first molested, but I am crystal clear on what he did. I think I remember the times so well because he was kind and gentle, which just made his eventual rejection all the more shattering. D8a, I wonderful how many times I've read/heard that comment. I'm sorry it happened to you.